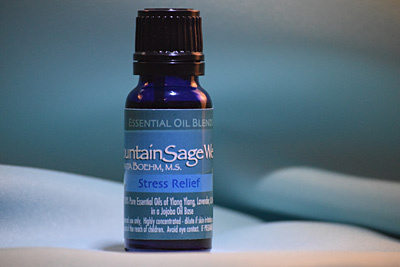 This essential oil blend calms anxieties, depression, nervousness, stress, tension, emotional exhaustion, and restores emotional balance and harmony. Vetiver 100% pure essential oil strengthens the central nervous system, is emotionally calming, helps to overcome depression, insomnia, and nervousness. It also reduces anxiety, stress, and tension. It balances and stabilizes energies by bringing thoughts and actions into focus. Ylang Ylang 100% pure essential oil is used by European psychotherapists to treat depression, insomnia, and nervous tension. It subdues anxiety, stress, and stress-related disorders. It minimizes anger, fears, frustrations, and aids in feelings of love and serenity. By stimulating enthusiasm, it also aids in comforting during times of change.